How does one person address the blind unbalanced inequity occurring in the credentialing of yoga teachers by Yoga Alliance? My name is Brian Castellani, and I am specifically known for challenging the medium of how yoga teacher education is both qualified and quantified in the United States. 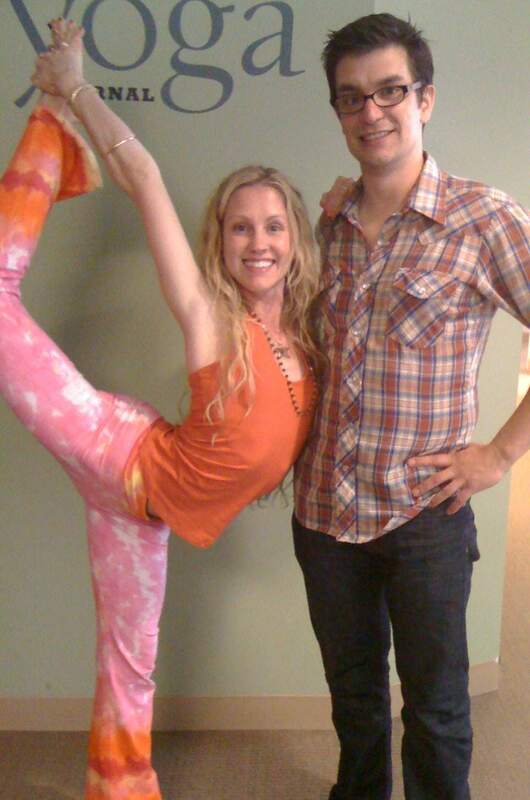 Yoganomics is an independent resource for yoga in the United States. I write that statement as one person, because I am only one person, and I have always been only one person. I don’t have an editor (other than myself), I did the sales, the one that writes stories, (or asks other yoga teachers, yoga retreats and yoga studios to write their stories) and I am the one who is responsible to figure out how it’s going to work. I don’t have anyone in other parts of the United States who are retired and commit to working for free for me. I don’t have interns, and I have never had them. The work I do is either paid for or self-taught, but inevitably it is all contingent on my effort to complete the tasks. For years, Yoganomics has been running. I have undergone challenges during this whole process. I addressed the unbalanced inequity occurring in the credentialing of yoga teachers, I trademarked two names: Yoganomics & Indie Yoga, I incorporated in New York, and then California. Under the best of intentions, I managed to single-handedly address the passive-aggressive, manipulative propaganda that Yoga Alliance spews as fact… and yet, they did change. They fooled everyone that the changes negated all their past transgressions against the yoga community. And for a time, forgiving yogis gave them an unwarranted and unearned pass. But nothing changed, because they are still scheming, yelling and firing employees who disagree with philosophical practices… and still not really providing a service to anyone but themselves. As I continued to navigate my way through the business of yoga, I was often overwhelmed, penniless and without help. What I found out (the hard way) is that American yoga either didn’t want to talk about the Yoga Alliance, didn’t care about them, or felt as though they – themselves, were too insignificant to shake up the current trajectory of status based yoga in America. I asked anyone that would listen and anyone that would talk to me, but no matter what I did, or how I pleaded with people, inevitably the people who did understand wouldn’t help, and the people who didn’t understand, wouldn’t hear it. I had five different insiders at Yoga Alliance that I spoke to, in addition to all the yoga teachers, yoga studios, yoga retreats, corporate yoga CEO’s, even the yoga editors at magazines, – even the yoga rock stars – all said the same thing: they all agreed that something had to be done, but they didn’t know what to do. At the time, it was completely unclear what role Yoga Alliance played in yoga – mainly because the YA non-profit board would never comment, had employees sign a strict confidentiality clause, in each of their contracts, and would fire anyone who disagreed with them. Most people were generally unhelpful and would not discuss education, credentialing or rumors with outsiders. The yoga specific committees they created in 2011 are smoke screens that were meant to appeal to American yoga. Committees are not their real business because they are a social credential. The real money comes from the corporate deals they have through their marketplace. As more and more yoga teachers sign up for their insurance, more sign up for discounts on rental cars, the more you perpetuate their unhealthy cycle of assumed legitimacy. The implications of non-truths surrounding that time (2007 – 2013) were huge. I talked to anyone who would listen. I had driven myself completely insane with the burden of exposing the absolute fabrication of yoga safety standards and yoga credentialing. Yet… the mystery of credentialing yoga teachers still happens each and every day. Maybe yoga teachers go along with Yoga Alliance because they simply haven’t figured out a way to create another entity. It’s just not my problem anymore. I won’t do it by myself. I have done what I can. At my own expense, I set out to address the issues I felt needed to be addressed. I attended the first two years of Wanderlust, I flew to Texas and I held an impromptu Louisiana state yoga regulation meeting attended by seventy yoga teachers and studio owners all over the state. I researched Yoga Alliance‘s tax records. I attempted to speak with Yoga Alliance at a NAMA conference, but the result was nothing. Wasted time and wasted energy. Yet, I was still compelled to do what I felt was right. What yoga does now is up to them. After six years of searching on my own, most yoga teachers have chosen to go along with the Yoga Alliance’s imposed social model of false safety credentials. So, as yoga has spoken, I too have the right to speak. They have made their choice and I made mine. If people are not concerned for the future of yoga education, then I will not waste my time fighting on my own anymore. I have forced myself to let it go. Every month I have spoken to a handful of people. Every month I am contacted by false profiles from the larger yoga corporations or other people who offer to help but are only fishing for information. I am aware which entities are contacting me, both past and present, and I will never forget their overt manipulation to impede the progress of yoga.